I had the opportunity earlier this week to spend the most amazing day in Copley Square with the team at Yankee Magazine. 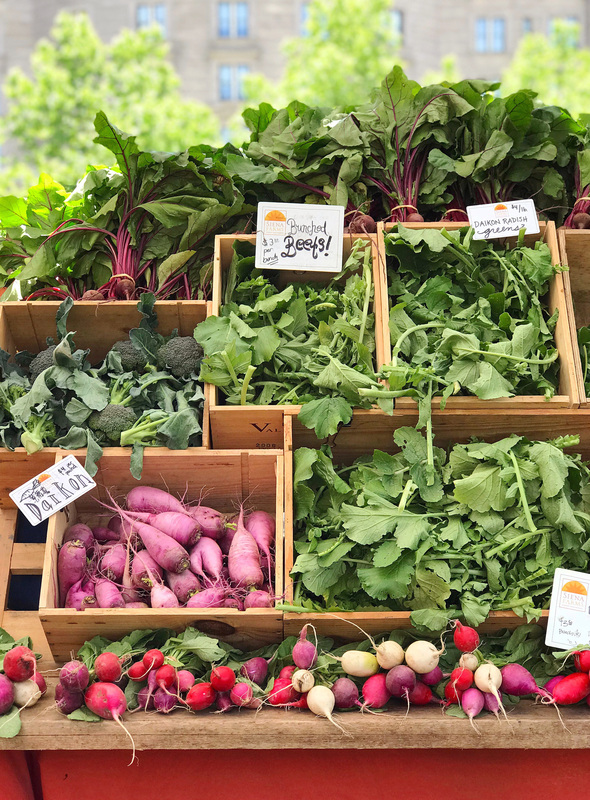 This year is the 40th anniversary of Massachusetts Farmer’s Markets, and the Copley Square market (one of my favorites) is one of the oldest continuously running markets in the state. 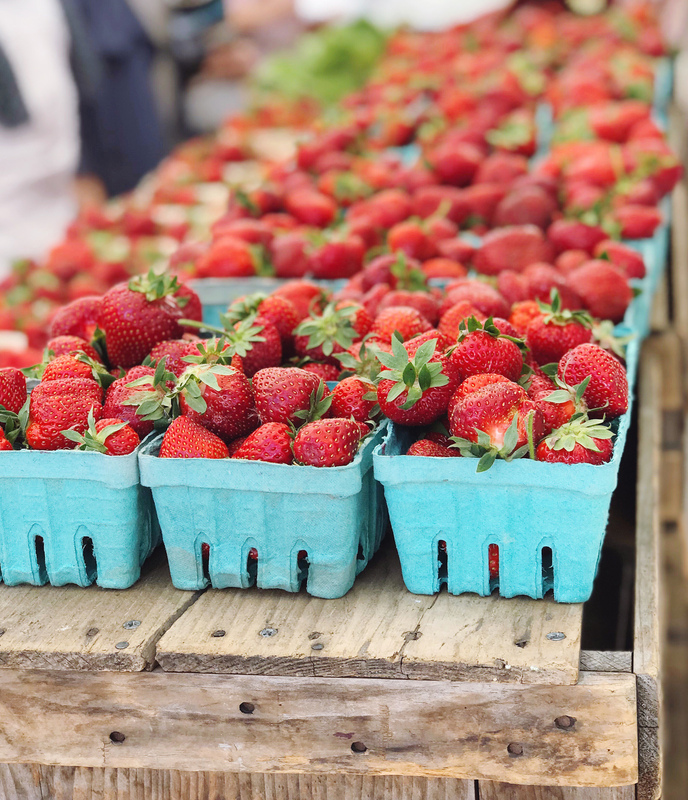 We got the chance to tour the market with the Executive Director and meet with many of the farmers and vendors, and even enjoyed a big picnic lunch thanks to the chef at OAK Long Bar + Kitchen in the Fairmont Copley Plaza. The sun was shining, the food was tasty, and it was the most inspiring summer day. Touring the farmer’s market with experts was a total learning experience. I’m a farmer’s market veteran, but it was great to talk with each vendor and learn more about their unique perspective on farming, fishing, and the impact of food markets for economic growth. We visited Red’s Best seafood and learned about what they’re doing to add more transparency to where our fish comes from. Each package of fish they sell actually has a QR code on it that you can scan to find out when and where the fish was caught, the type of fishing process used to catch it, even the boat and captain’s name. They’re focused on getting fish directly to consumers because a shorter chain of custody means fresher fish and more accountability for quality and sustainability. All great things! We also chatted with the owner of the Herb Lyceum about using fresh herbs in our cooking. I perked up at his tips and took lots of notes — like how important it is to add delicate herbs at the end of cooking a dish, to prevent cooking off the oils that contain all of herb’s flavors. He also offered up the advice that the best way to experiment with herb flavors is by using them with potatoes — they’re a neutral food taste and can highlight the flavors. Such a good trick! 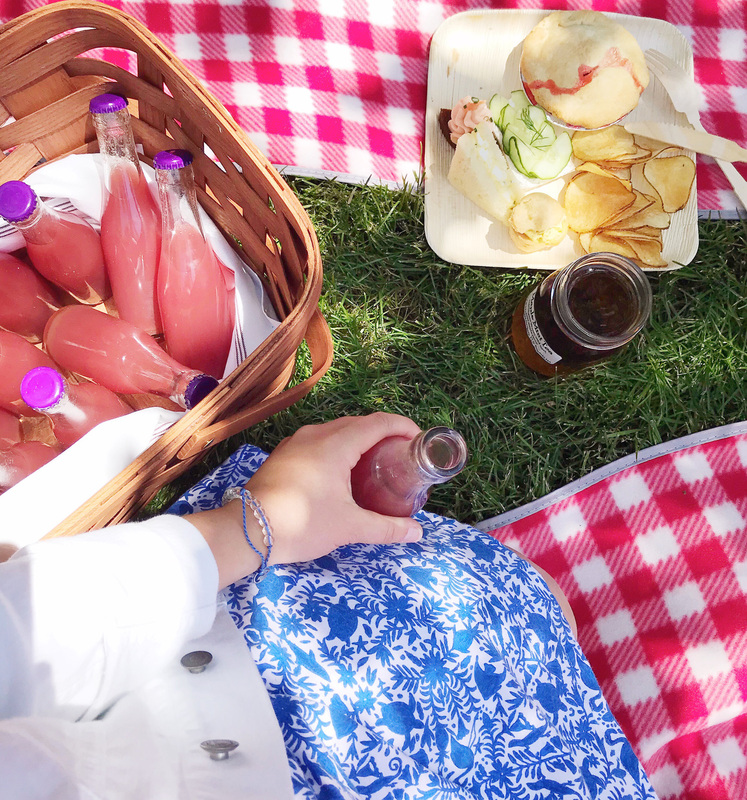 After our market tour, we had a picnic lunch in the park made my Chef Lockwood’s team at the OAK Long Bar + Kitchen in the Fairmont Copley Plaza. We dug into tea sandwiches (some favorites that reminded me of our recent trip to London! 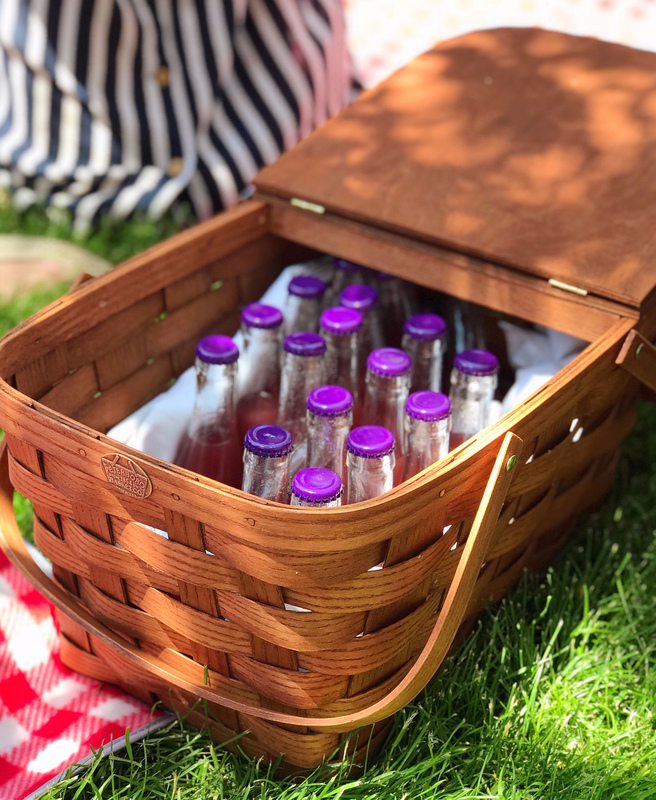 ), hand bottled fruit-infused sodas, and tasted tons of things directly from the market vendors like artisan cheeses, Iggy’s breads, the most delicious strawberry rhubarb pies from Vermont. 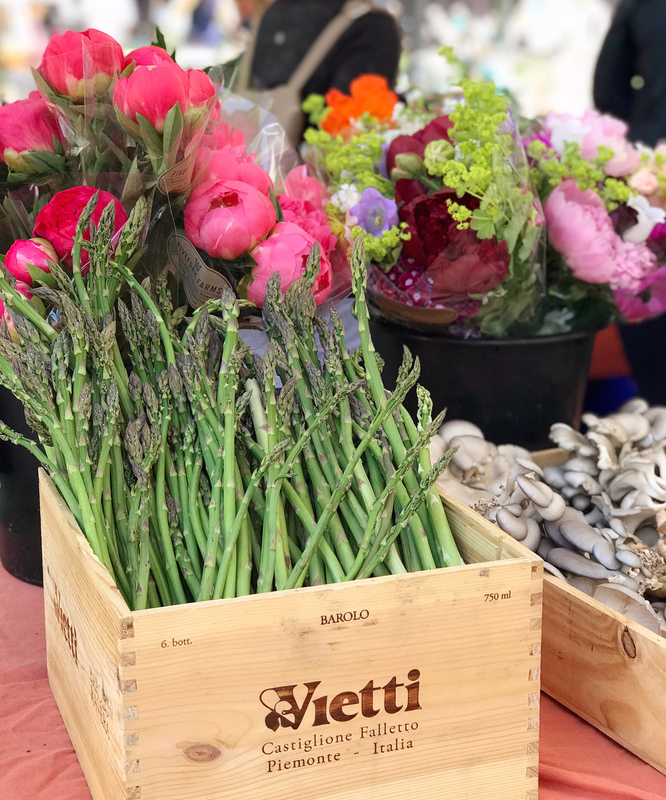 After lunch we got a quick flower arranging tutorial of the most gorgeous locally grown flowers by the farmers from Field and Vase. We ended our day across the street at the Fairmont Copley Plaza! In all of my years of living in Boston I have somehow never been inside this hotel lobby and let me tell you: it is magnificent! 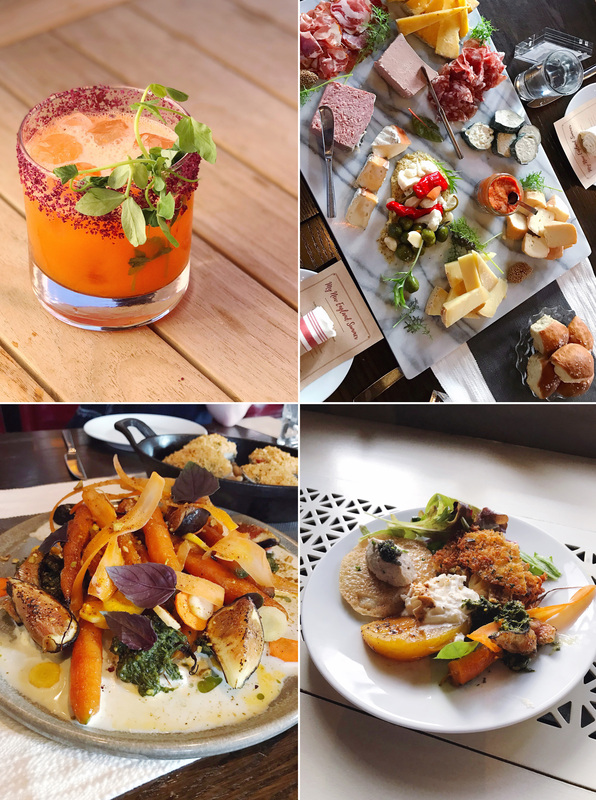 We spent the afternoon on their patio learning about using fresh, local ingredients in making craft cocktails and got to taste test a few of these special margaritas inspired by the produce. My favorite was the carrot ginger margarita, colorful and YUM. After cocktails we had a meal fit for royalty inside the OAK Long Bar + Kitchen. Chef Lockwood prepared a feast of feasts using nearly all locally sourced ingredients, many were from the market right across the street. It was an absolutely inspiring meal and day with the Yankee Magazine and Fairmont Copley Plaza teams — I felt so lucky to come along for the ride! Garlic and Herb Whipped Goat Cheese Dip. Lemon Dijon Grilled Salmon.